BNL’s Ursula Patton will compete in the 500-yard freestyle during the IHSAA state finals. BEDFORD – As a freshman, Sidney Carlile made a career choice. Rather than risk hitting the floor during a cheerleading crash, she hit the water. It’s a much more forgiving surface. 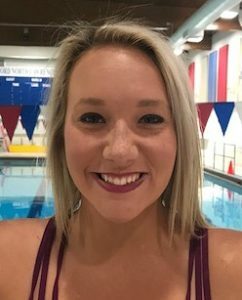 Three years later, Carlile will make her final splash, leading Bedford North Lawrence’s three-event contingent into the IHSAA girls swimming state championships on Friday night at IUPUI. Carlile and sophomore Ursula Patton will compete in their individual events, and that duo will join Hayley Hatfield and Shaylee Summers in the 200-yard medley relay during the state preliminaries in the famed Natatorium. The top 16 (out of 32 competitors) in each race will qualify for the consolation (places 9-16) and championship (places 1-8) races on Saturday. 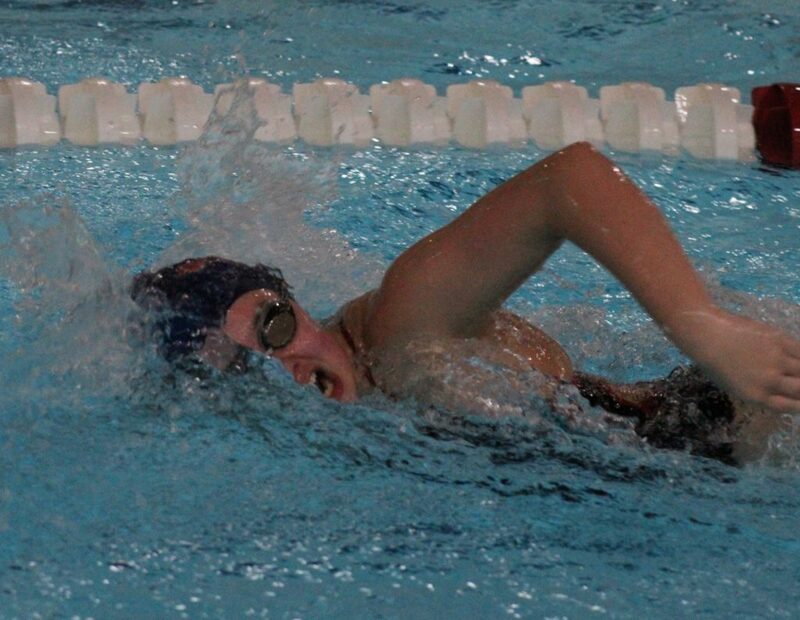 Carlile is making her third appearance in the state finals, seeded 27th in the 100 butterfly in 58.57 seconds after winning the sectional title at Jasper on Saturday. Patton, the sectional champ in the 500 freestyle, is seeded 30th in 5:29.60, and the relay team is seeded 31st in 1:55.27. That’s a lot of ground to cover, a lot of bodies to leapfrog in the search for more speed and a final race on the state’s biggest stage. The Stars tapered their training to peak for the sectional, so maintaining that razor’s edge for another week is difficult. If the Stars can carve off precious time, they could hit some high-water marks. Carlile already owns the school record in the butterfly (58.48, set last season), so she will be gunning for that. But her main objective is advancing to the final day. Her experience could play a factor in that quest. Patton will also count on last year’s mental memories. She’s chasing her own school record of 5:24.79, set last season. “Last year I was very caught up in the experience,” Patton said. “I don’t know how to describe it. It’s so loud, it’s just different than any other swim meet. Having that experience, I can go into it with a ready and focused mind this year. 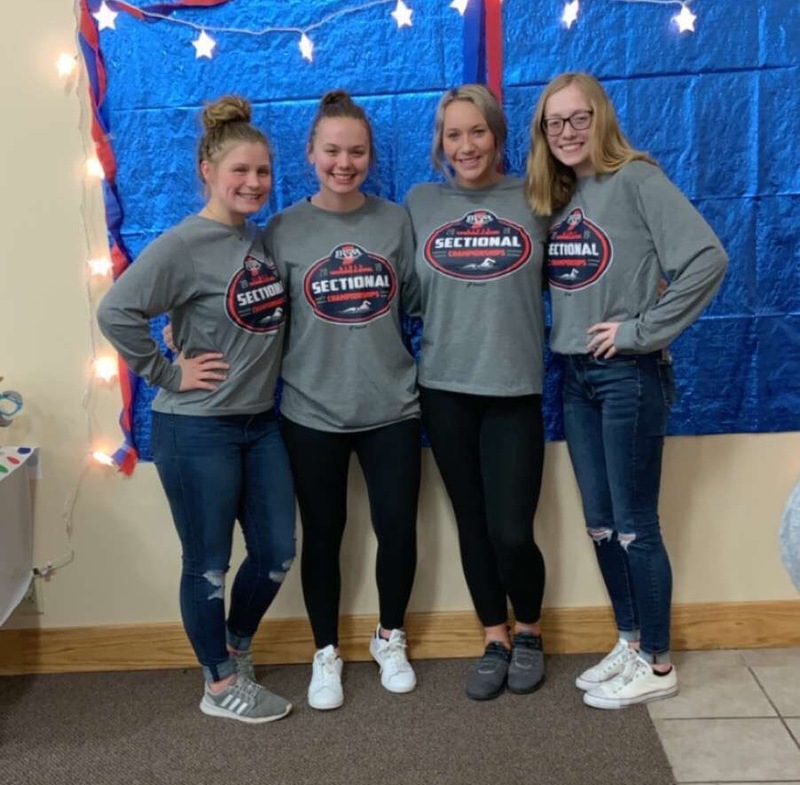 BNL’s 200 medley relay team of Hayley Field, Ursula Patton, Sidney Carlile and Shaylee Summers will compete in the state final prelims on Friday. The BNL foursome will also have its clock set on fast time, shooting for the 1:53.34 set by Rosanna Van der Kleij, Justine Jones, Kayla Allen and Addison Watkins in 2009. While Summers (a junior) and Patton will have other shots for return trips, Hatfield and Carlile will be making their last final turns in the pool. It’s a satisfying ending. The prelims will begin at 6 p.m. The finals on Saturday are set for 1 p.m.